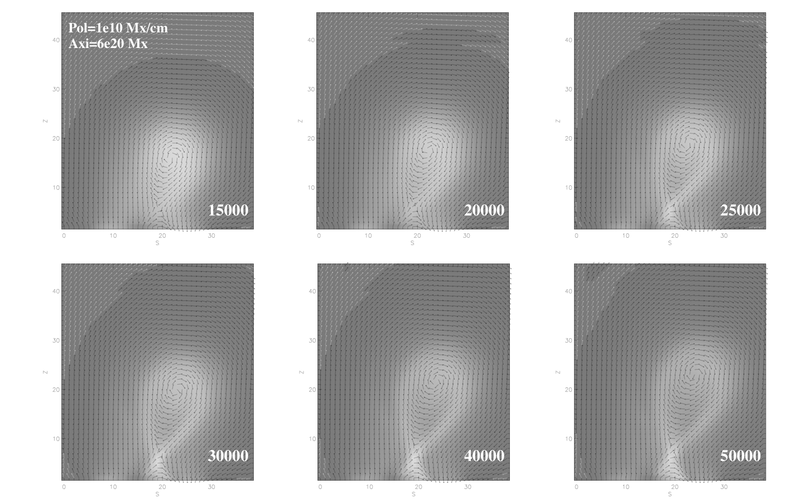 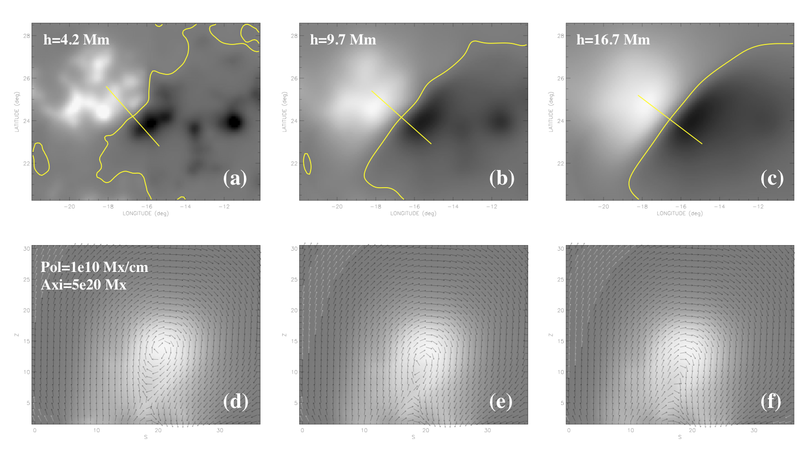 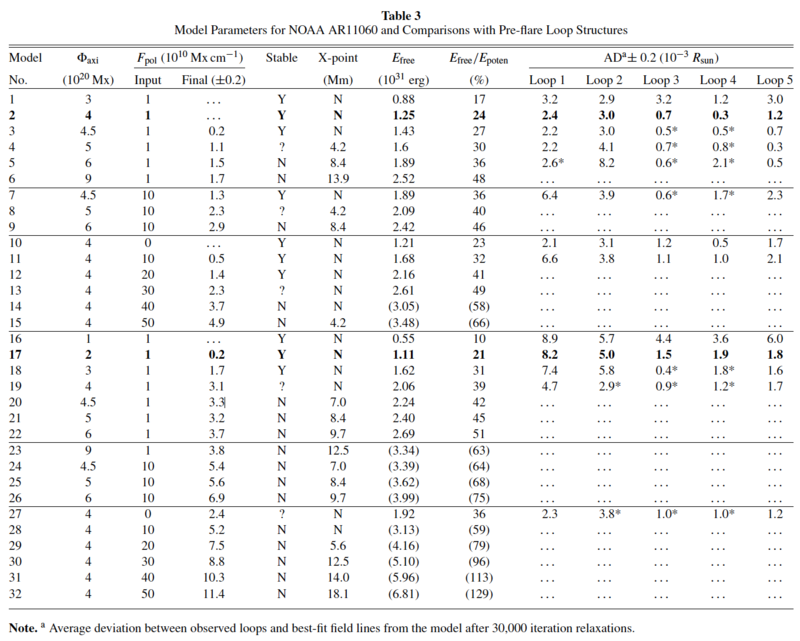 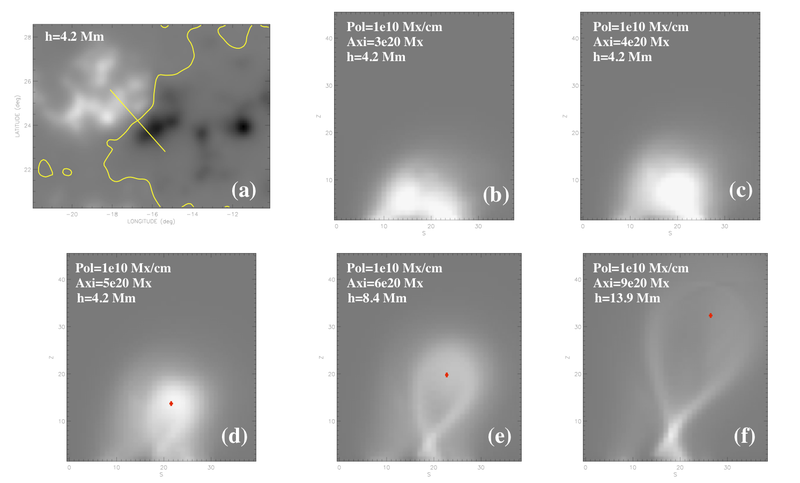 Multi-wavelength observations of AR 11060 prior to the B3.7 flare on 2010 April 8.
fields taken by SDO/HMI at 02:00 UT on April 8.
at six different stages during the relaxation process. 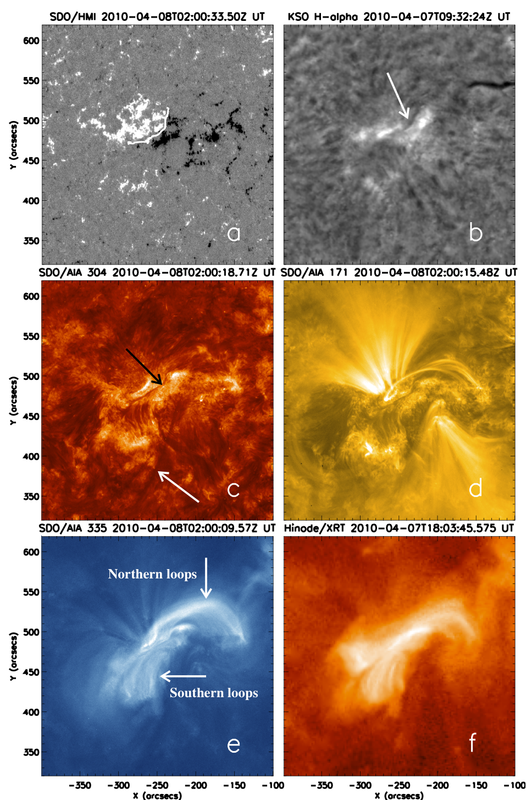 (a)--(b) SDO/AIA and Hinode/XRT images of the flaring region prior to the event. 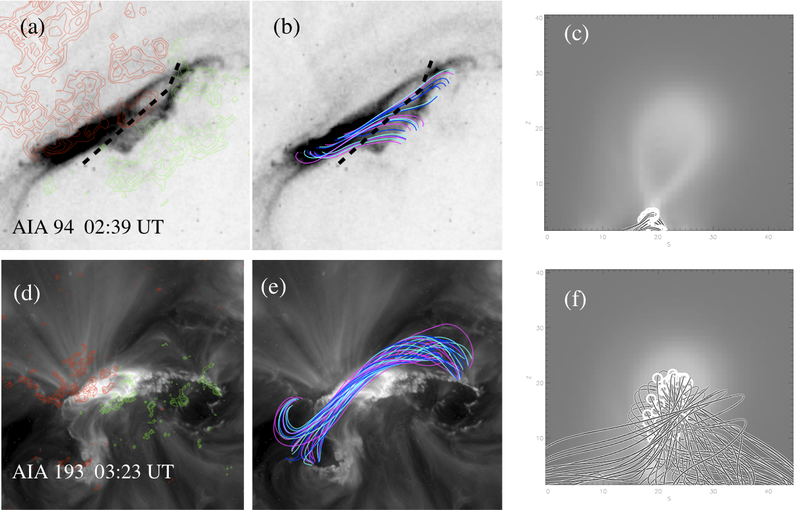 SDO/HMI magnetic field observations are presented as red and green contours. 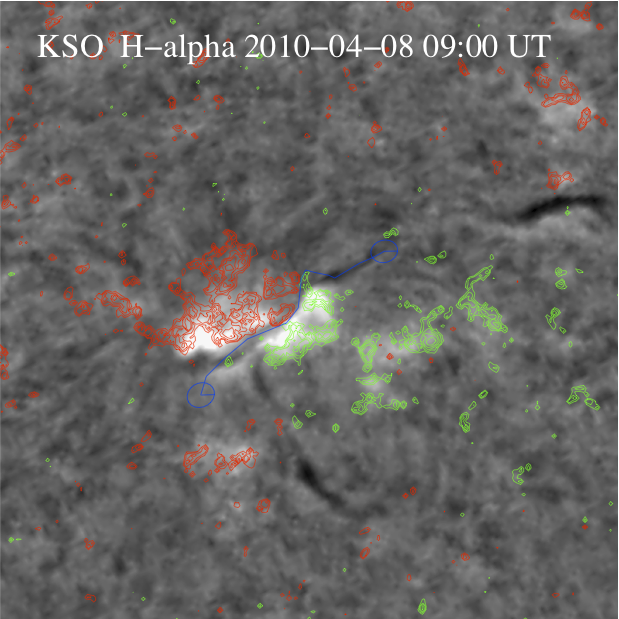 lines from Model 2 overlaid on the SDO/AIA image prior to flare.